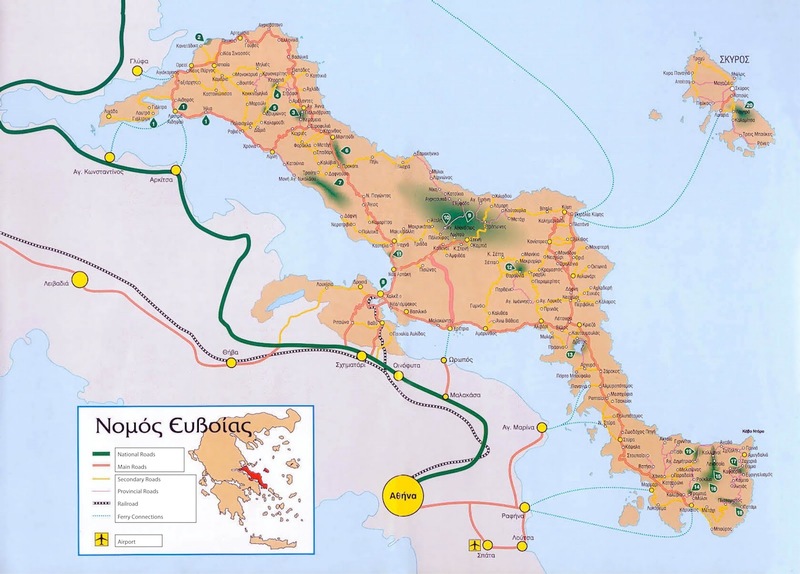 Evia is just a 55 minutes drive from Athens International Airport. You can get flights to and from Athens Airport ” Eleftherios Venizelos“ all year round. All Major Airlines have links to Athens International Airport, but also there are four daily flights between Dubai and New York’s JFK airport. Once you have arrived to Athens Airport we regularly arrange private transfers for groups of any size. Just make and inquiry HERE. The cheapest and easiest way to travel to Evia Island from the Airport are the Airport Shuttles. Daily departures to Chalkis and Eretria from Athens International Airport. Two weekly departures to Loutra Edipso, Oreoi & Pefki from Athens International Airport. All buses from Athens set down passengers at the Departures Level and depart from the Arrivals Level, between Exits 2 and 3, opposite the Airport Hotel (Sofitel). There you can catch the bus to Liosion Bus Station where you can get the connections to Evia Island. You can make a phone reservation for the line Athens-Chalkida and Vice versa. In this case you have to pickup your ticket 30 minutes prior to departure. If you are the port of Piraeus, you can get the train to “Athina” station, where you can now switch to the new electrified train all the way to Chalkis. In a couple of months this route will be direct Piraeus-Chalkis with no switches. If you are traveling from Athens International Airport you can take the suburban railway and get off at Doukisis Plakentias stop. Take the blue metro line and get off at Syntagma,then take the red line and finally get off at St. Larisis. (aprox. 8 euro). Then you take the train to Chalkida (aprox 6 euro) where you can be served by local taxis or we can also arrange a private transfer or pickup.